Should We Pay to Play? According to Wikipedia, the term pay-to-play is a phrase used when money is exchanged for services or for the privilege to engage in certain activities. It is used in every industry – from business, to sports, finance, media, and politics! That’s correct, in order to even be considered, many times one must first pay either an entry, processing, handling, or administrative fee. The list of pay-to-play is long and constantly growing. After all, money doesn’t grow on trees and the people running these awards/events have operating costs and expenses. Pulitzer Prize, Inc. 5000, Boston Marathon, and yes, the Stevie Awards. In absolutely none of these pay-to-plays can one actually purchase a win. They must, through their submissions with supporting evidence or through their physical perseverance and tracked time (as in the case in the Boston Marathon) actually beat their competition in order to be awarded a prize. Forbes Magazine published an article by Selena Rezvani discussing how awards are not only for recognition and a form of currency, but also in today’s world, they simply matter as they are used as negotiating chips for salary and contracting fees. Rezvani discusses how statistics show women are less likely to enter due to feeling as if their application would not be strong enough to compete, when in reality, their performances are roughly the same as men and therefore, they would have an equal chance of winning. Another Forbes publication, by Margie Warrell, discusses the “Confidence Gap” between men and women and how this directly relates to the ⅔ pay gap in the United States. 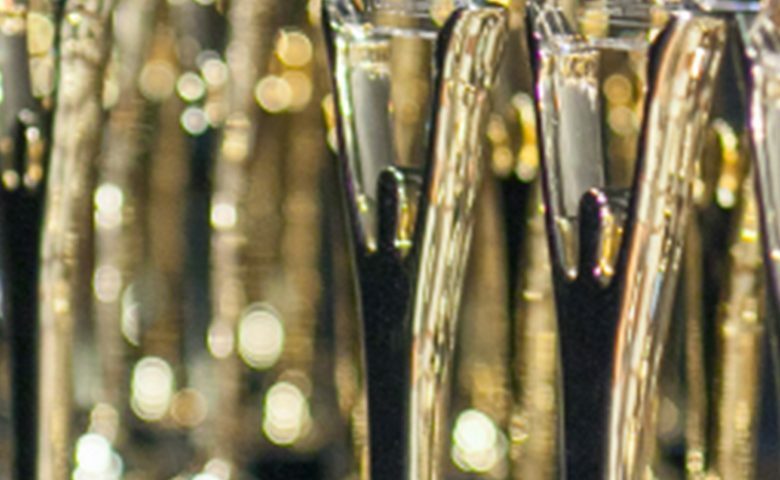 In a world where awards and recognition matter, where women are not paid equivalent to men in the same positions, and statics prove that in order for gender equality in the workplace, women must step up, participate, and lean in, the American Business and Stevie Awards set out to acknowledge this by diversifying and offering gender, industry and skill specific awards. Hence, the Stevie Awards for Women in Business. As a female CEO, regardless of whether or not I wish to be an active part in the fight for equality, I am in this battle. Knowing how my decisions and actions affect not only the women that work with me, but also the daughters and granddaughters that are to follow in our footsteps, I will step up, participate, lean in, sit at the table, and enter the awards competitions. I am educated and aware of how my actions or lack of trickle down and ultimately will aid in either propelling or further stalling the movement for equality. It’s why I have a team that’s 50:50 male to female and pay each based off of their skill set, qualifications, and production rather their gender. It’s why I’m not discouraged when male chauvinists criticize me for winning an award that has a entry fee, when they promote their own awards that also came with an entry fee (Inc. 5000 @ $150 vs Stevie Awards @ $145). I will stand up for all women and minorities – fight for equal pay, fight for equal rights, fight for equal respect. Click To Tweet My mama didn’t raise a dumb girl and my father didn’t raise a coward, so I’ll be damned if I’ll back down and behave like either. At times, I may have to pay-to-play, but trust me when I say, I came to win and the judges (that weren’t paid for) agree. Women in business, I encourage you to submit your qualifications and look forward to celebrating your wins with you!